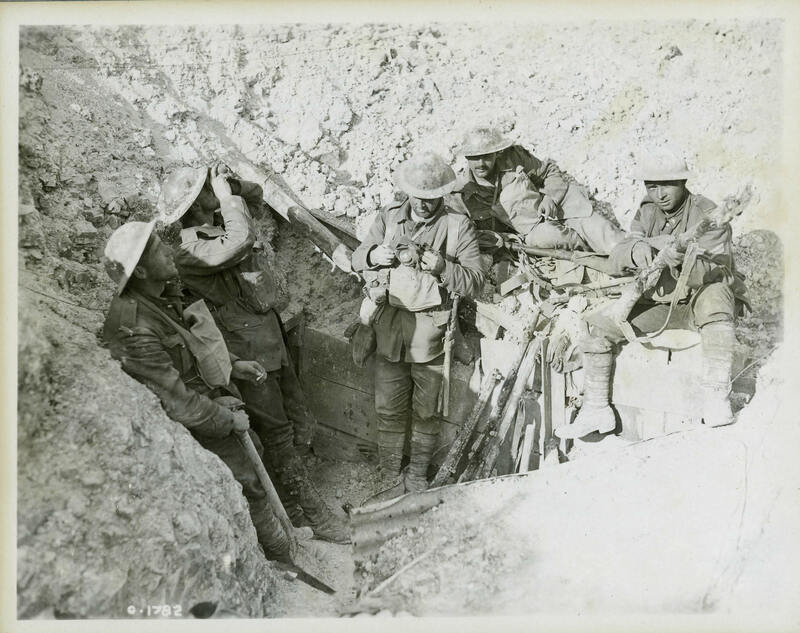 Canadians take a break in a captured German trench during the Battle of Hill 70 in August 1917. The soldiers on the left are scanning the sky for aircraft, while the soldier in the centre appears to be re-packing his gas respirator into the carrying pouch on his chest. Dust cakes their clothes, helmets, and weapons.